You read about them in the news, you hear about them from your friends, and maybe you’ve even been affected by them yourself. What are they? Disasters. Hurricanes, earthquakes, tornadoes, forest fires, tsunamis, and the list goes on. The question is though, are you and your family prepared? It’s easy to think, ‘nothing will happen where I live’ and yet time after time we see interviews of people who just suffered through a disaster and thought the same thing. Because they thought nothing would happen where they live they never took the steps to be prepared for a disaster. What a shame. By just taking a little time and a relatively small amount of money they could have provided protection for themselves and their family. I grew up in southwest Missouri where tornadoes are common. Many people there have basements and storm shelters but hardly anyone has a survival kit for themselves or their family members. My wife spent a portion of her childhood in Oklahoma where as she says ‘tornadoes are born’ and yet it’s the same there, hardly anyone has a survival kit. On May 22, 2011 we were heading home from attending a wedding in Little Rock, Arkansas. As we were passing through a place on Hwy 37 in Missouri known as Midway, which is just a few miles south of the town we were living in at the time, Monett, we saw one of the most foreboding wall clouds either of us had ever seen. When you see a wall cloud in that part of the country you immediately begin thinking tornado. 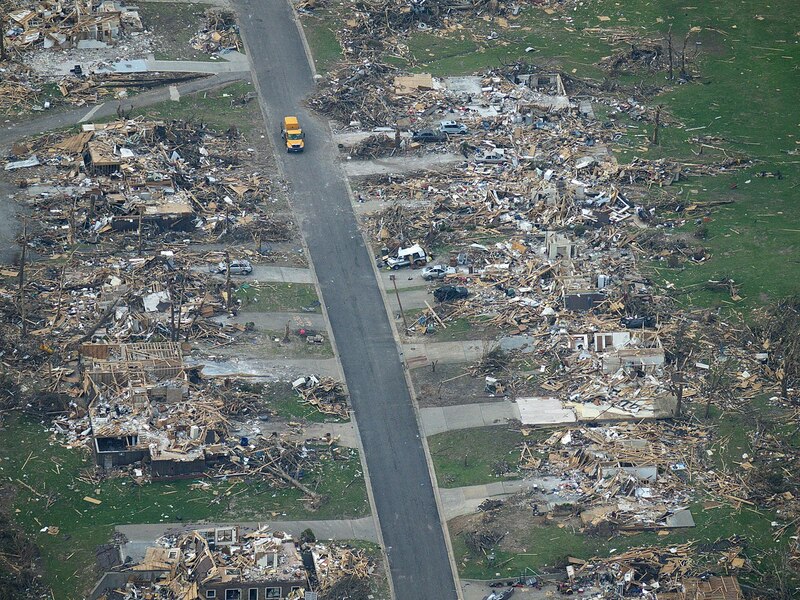 About that time we started getting text messages from friends that said Joplin had been hit by a huge tornado. Joplin is about 40 miles from Monett. We had friends that are like family there. The storm system stretched all the way down to where we were in Midway. It was enormous. It turned out that the Joplin tornado ended up being an EF5-rated multiple-vortex storm that reached nearly a mile wide and went right through the southern part of Joplin. It was the deadliest tornado to strike the United States since 1947. When we got into Monett the tornado sirens were going off and the storm was intense. Fortunately we were able to make it to our storm shelter to wait things out. Once we heard reports over the next few days though, we started to realize that we needed to be better prepared than just having a storm shelter. Eventually we built our own survival kit. We took an old duffel bag and tried to get some food items with a long shelf life, some water, and other items and cobbled together something we thought would work. We felt good about our efforts but realistically looking back it wasn’t all that great. Time went by, we sold our home and were getting ready to move to Maine where we currently live. As we were packing we pulled out the “survival kit”, opened it up, and realized that all of the food was expired for at least two or three years. We had set the goal of checking it every year but that didn’t happen. The worst part of it was that it was really expensive to put together in the first place. Plus, realizing that the food would have to be replaced every year or so was pretty disappointing because maintaining the kit was going to be fairly expensive too. So we threw it out and decided to regroup. We went to visit some friends in Oklahoma before we left for Maine. We told them the story of our failed survival kit and they too had experienced the discouragement of trying to put together a quality survival kit but finding it expensive and difficult to deal with quickly expiring food items. That’s when we realized that we weren’t the only ones with this problem. So on the drive to Maine we began looking at where we could get quality survival and emergency kits and make them available for others. One of the difficulties we found was that many survival gear sites are more for preppers and survivalists and provide a wide variety of items that are well beyond what most families would need short term in a disaster. We wanted to see what we could do to change that. Since then we have teamed up with one of the top manufacturers of survival gear to bring you high quality, affordable, survival kits and supplies that can help you to protect your family. Whether you face the possibility of tornadoes, hurricanes, earthquakes, forest fires, or other disasters we can help you have what you need to be prepared. Together we have over 30 years combined experience in both retail and eCommerce. When you order from us you’ll be well taken care of.